Tawana Smith Mattox, Ed.D. (Dr. T) joined Athens Land Trust in January 2019. As the Neighborhood Sustainability Project Manager, she works with the local government and West Broad neighborhood residents to meet community-identified environmental challenges. Her work history includes higher education, workforce development, and technology training. She has also passionately served 20 years leading a nonprofit that promotes youth development and reading in the Atlanta and Athens areas. Dr. T earned a B.S. 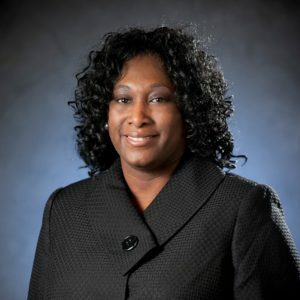 degree from Morris Brown College in Information Technology/Business; a Master of Science from Georgia State University in Human Resources Development; and a Doctorate in Higher Education Leadership from Nova Southeastern University. She is very active in the Athens community where she strives daily to improve the lives of others.